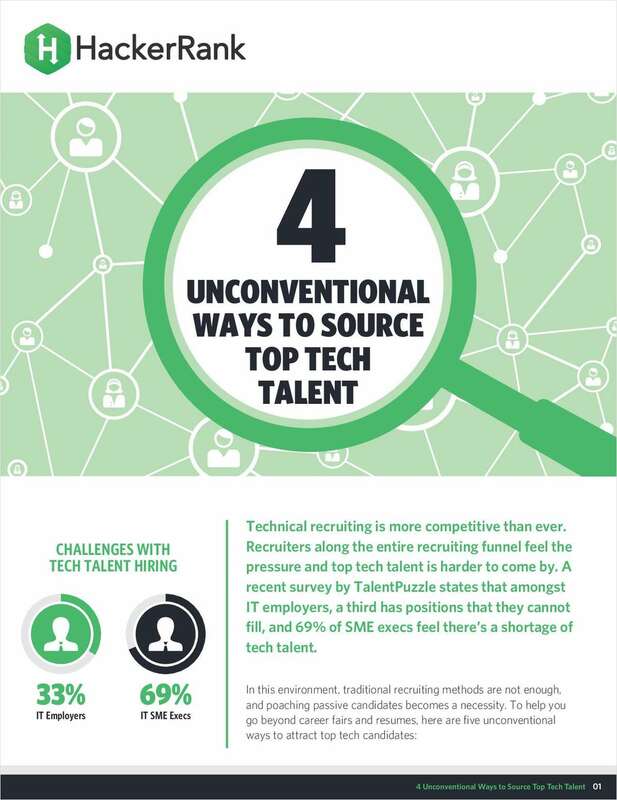 "4 Unconventional Ways to Source Top Tech Talent"
Free White Paper: "4 Unconventional Ways to Source Top Tech Talent"
Technical recruiting is extremely competitive. Discover how to attract top tech talent. By submitting this content request, I have legitimate interest in the content and agree that HackerRank, their partners, and the creators of any other content I have selected may contact me regarding news, products, and services that may be of interest to me.